Fear is one of the common emotions encountered by all of us. Fear at times protects us from certain situations or let you understand or learn how to manage certain situations but excess fear is known to be harmful! Excess fear is associated with psychological health issues including some serious health problems. A new study or research has understood the mode in which our brain process fear, this helps in the evolution of new treatment options for people suffering from mental health issues! Fear and anxiety are quite useful as we use them in fight and flight response or in a dangerous situation to protect ourselves. The onset of fear can be considered in 2 different modes, one in which it is appropriate and hence would be beneficial and the other disproportionate and more than required for a particular situation and hence not beneficial and classified as a disorder! The brain responds to fear in the following way – Amygdala and Hippocampus are the parts of the brain involved in fear perception and processing. A study was conducted in which electrodes were inserted to the key areas of the brain and the participants were made to watch horror movies. The study was carried forward. The researchers found that the 2 areas exchange signals directly when they are exposed to emotional stimuli. Furthermore, it was understood that the signals travel from amygdala to hippocampus! 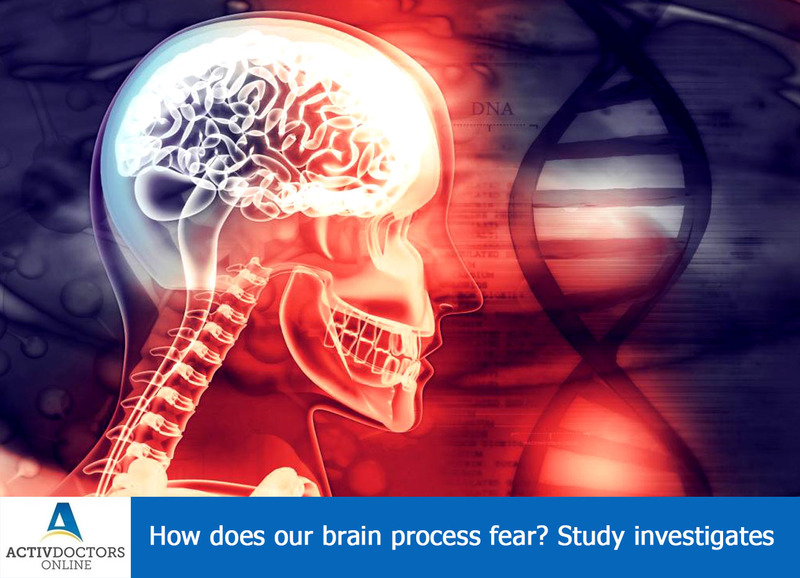 This was the first study which could explain the way our brain process fear. This helps in the treatment of various Psychiatric disorders. Studies are now more intensified to understand and make use of this in further treatment!! Thus we now understand how our brain process fear! !